Porsche’s first purely electrically driven sports car, the Taycan, is currently completing its final test drives before it enters series production. In Scandinavia, just a few kilometers away from the Arctic Circle, it is proving its potential in terms of driving dynamics on snow and ice. At the same time, Porsche engineers are taking advantage of the summer in the Southern Hemisphere. In South Africa, they are conducting performance tests, as well as final adjustments in terms of continuous performance and reproducibility. In Dubai, they are carrying out hot-climate endurance runs and testing battery charging under extreme conditions. The 30 countries across the globe in which these comprehensive tests are being carried out have temperatures that range from minus 35 to plus 50 degree Celsius. “After carrying out computer simulations and comprehensive bench tests early on, we have now reached the final phase of this demanding testing programme,” underlines the vice president of the model line, Stefan Weckbach: “Before the Taycan is launched on the market at the end of the year, we will have covered approximately six million kilometers across the globe. We are already very happy with the current status of the vehicles. The Taycan is going to be a true Porsche.”Of course, at Porsche, electric cars have to undergo the same rigorous testing programme as sports cars with combustion engines. In addition to displaying superior performance, this always includes proving unrestricted suitability for everyday use in all climate conditions. Particularly demanding features such as charging the battery or temperature control of the drive train and the interior under extreme conditions are additional aspects in the battery-powered models. Other typical Porsche development targets include circuit performance, multiple accelerations, as well as a range suitable for everyday use. Test experts were able to build upon the comprehensive findings from the digital testing stage using digital prototypes. At present, computers are used to design the body, drive, chassis, electronics and overall vehicle of a new model and to simulate their functions – which includes how they work together. 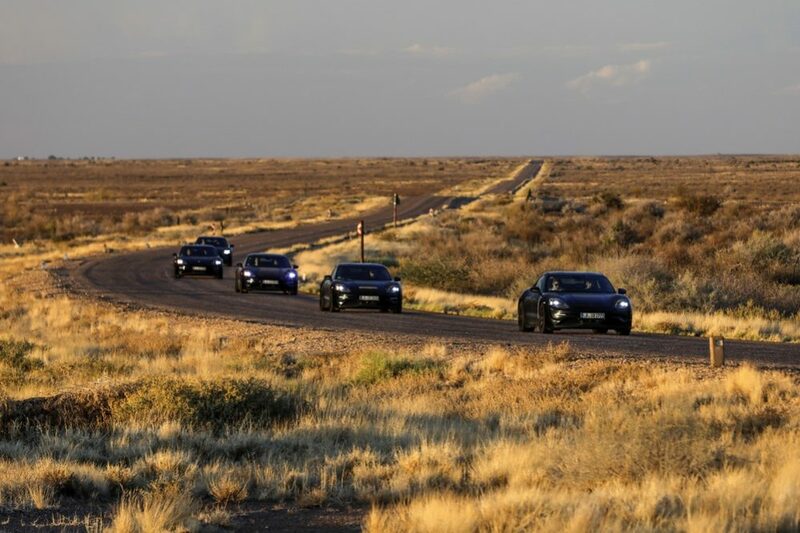 In total, the virtual prototypes of the Taycan have completed more than ten million digital kilometers. This meant that development engineers started driving a Taycan around the Nürburgring Nordschleife in a driving simulator at an early stage, so that they could test and evaluate its circuit performance. During this process, they focused on the electrical energy management, which plays an important role in achieving a sub-eight-minute lap time on the 20.6-kilometer (timed distance) Nordschleife. The Porsche Taycan will be introduced in September and will be launched onto the market at the end of the year. Across the globe, there are already more than 20,000 serious prospective buyers. The potential customers have put their names down on an option programme list and made a down payment. The Taycan accelerates from zero to 100 km/h in significantly less than 3.5 seconds. It has a range of more than 500 kilometers (according to the NEDC). The 800-V architecture in the vehicle guarantees that the lithium-ion battery can be recharged in just four minutes, providing enough energy to drive 100 kilometers (according to NEDC).